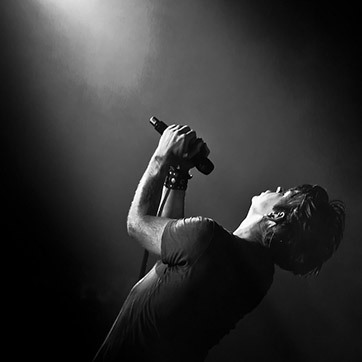 The lovely people at Artrocker Magazine are going to be publishing an iPad Gary Numan special edition. As part of that will be a free download of remixes of Dead Son Rising done by some extremely cool people. We are then going to add a number of new songs and release it as the Dead Moon Falling CD album. Also, we will be releasing the single called ‘Petals’ before the tour. This is a collaboration project between me and ‘Officers’ who are supporting us again in December. ‘Petals’ is a great track, written by ‘Officers’, that I have done a guest vocal on. This track will also be added to the Dead Moon Falling CD I believe. So, the tour will be a mixture of Dead Son Rising remixes and originals, plus a number of tracks from Splinter which, if you have been following my Tweets, you will know is now well underway with ten songs written and many more still to come. Plus some of those songs you are more familiar with but hopefully reworked. We’ve been playing some of those versions for quite a while and we all need a breath of fresh air I think. For me it will be the most musically exciting thing I’ve done in a long while and I can’t wait to get it started. via Q & A – August 12 – Gary Numan – Official Website – Gary Numan – Official Website.